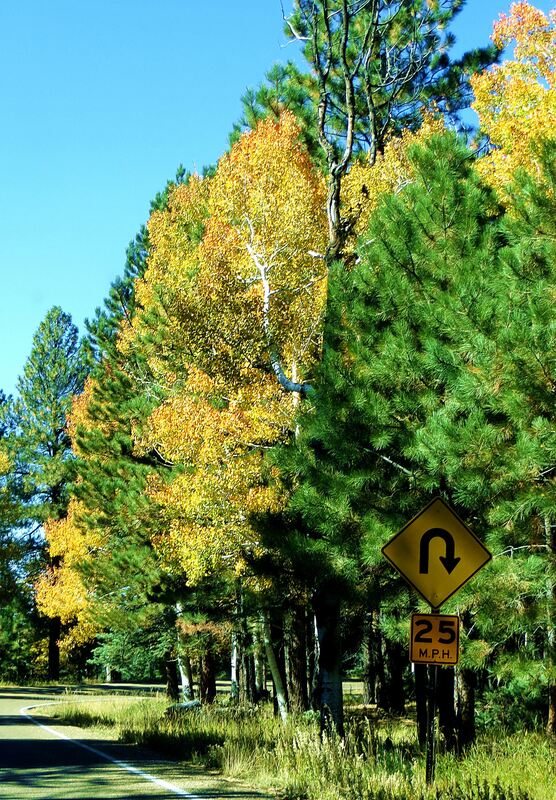 Jacob Lake, a tiny community that sits at the junction of Highway 89A and State Road 67 and which is the turnoff to the North Rim of the Grand Canyon, sits at an elevation of 8,000 feet. I had expected to see aspen trees by this elevation, but none came into my view, although I usually began seeing these scarred, white-trunk trees around 7,000 feet. Of course that was when I lived in Utah, and now I’m in Arizona. Still hopeful that the goal of this particular road trip, to see aspen trees in their golden autumn colors, would be met, I took the turnoff for the Grand Canyon. There was still 44 miles to go before I reached the rim of what many people consider to be one of the seven natural wonders of the world, so there was still time for this road trip’s mission to be accomplished. And it was – although I was closer to Grand Canyon National Park than I expected before the landscape began to be dotted with patches of yellow that challenged the color of the sun. I was delighted. Aspen trees gown in colonies from a single seedling that sends up its children through the earth into the sunlight. If you look closely, you’ll see how similar each tree in close proximity looks like its neighbor; and how different they look from a nearby patch of aspens that also hover close together with roots and branches entangled. Until its death, only the mother tree can send up new seedlings. Then another tree takes its place. It has to do with some chemical or such that the mother tree sends out as a birth control pill to the other trees, is how it was once explained to me. 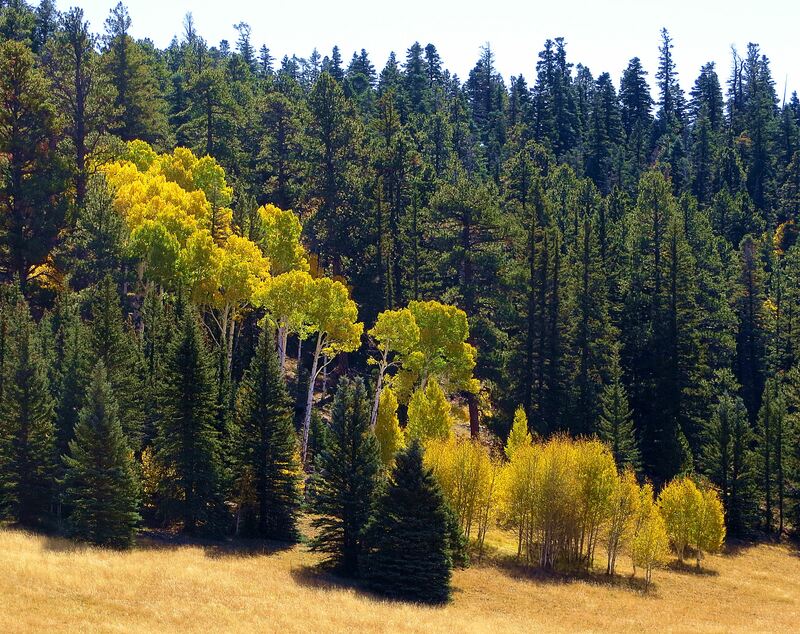 While an aspen tree can live only up to about 150 years, there is one large aspen grove in Utah near Fish Lake that is 80,000 thousand years old. Just thinking about this sends shivers through by brain neurons. As I stopped to stand beneath one of the aspen groves, I was reminded that not only are these trees pleasing to the eye, but to the ear as well. The breeze rippling through their coin-sized leaves sent a pleasing melody into the air. The aspens sang for me. 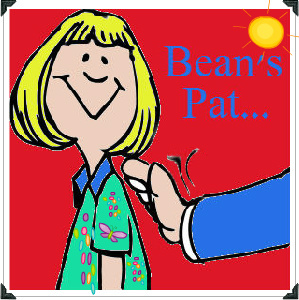 Bean Pat: Life’s Purpose http://tinyurl.com/ocjqsok Why limit yourself to one passion. As a person who has many passions, this blog appealed to me. Even though I know that it’s the people with only one passion who may accomplish the greatest things in life. But oh what they miss.